All BLUFFVIEW OF CAMINO homes currently listed for sale in San Antonio as of 04/22/2019 are shown below. You can change the search criteria at any time by pressing the 'Change Search' button below. "Beautiful bluff property on over an acre offers privacy and views. Open plan w/ wood floors, triple-paned windows, high ceilings, nat light. 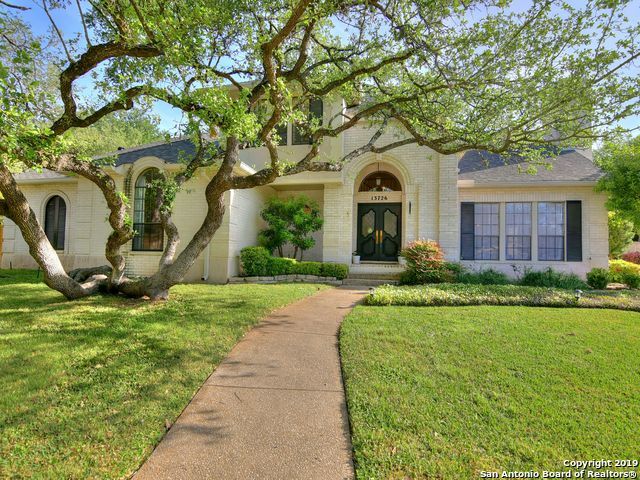 Formal dining, living rm w/ soaring ceilings & fp, family rm w/ full bath could be 4th bed down. Private mstr w/ sitting rm, desk, ensuite bath. Updated kitchen w/ granite island, high-end appliances, custom cabinets, breakfast rm w/ views. Two bdrms up w/ sunrm & hobby rm/office. Gorgeous backyd w/ pool, spa, views, great space for entertaining, outdoor gr"